"After" results with 1 mo. @ 40mg and 3 mos. at 60mg. 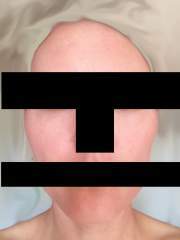 Portions of the photos have been altered to hide my identity, but I have not touched the portions of the images that show my skin.